ConnectUs Electrical are electrical contractors. ConnectUs Electrical came to us when they needed help to stand out in a very populated industry. They needed us to help them refresh their brand. We worked with ConnectUs to freshen up their logo, design new marketing materials, van signage and a new website. 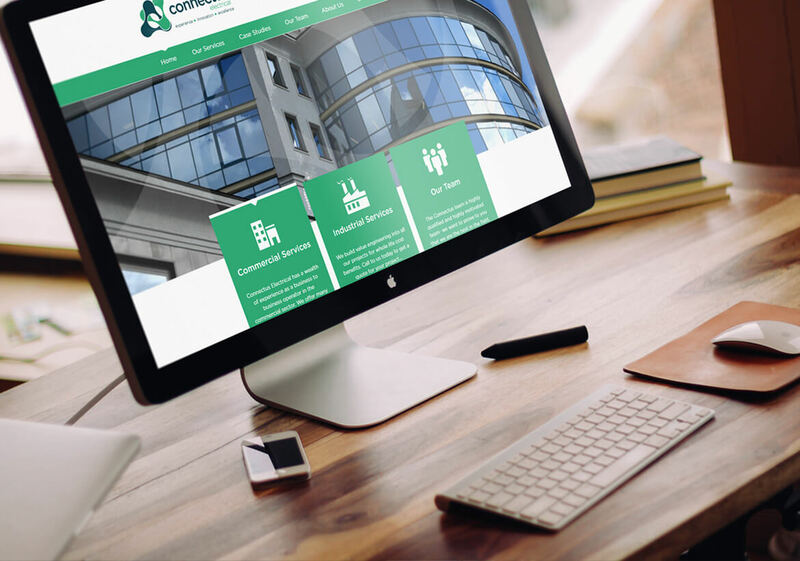 We worked very closely with ConnectUs Electrical, particularly throughout the design phase of the project discussing logo, branding and overall website designs. Once our clients were happy with the designs we then began the development of the website. The development team built the front-end and setup WordPress CMS (content management system) to enable the client full access to update the sites content, posts, images and videos etc. Full CMS training is always provided with our packages and all websites are fully mobile responsive and optimised for various devices and screen sizes. We enjoyed working with ConnectUs Electrical so closely throughout this project and we are excited to have started working on another project with them. We enjoyed working with ConnectUs Electrical so closely throughout this project and we are excited to have started working on another project with them. Great team, friendly, helpful and excellent work. Would recommend them.